Keeping track of everything your pet needs to stay healthy can be tricky. 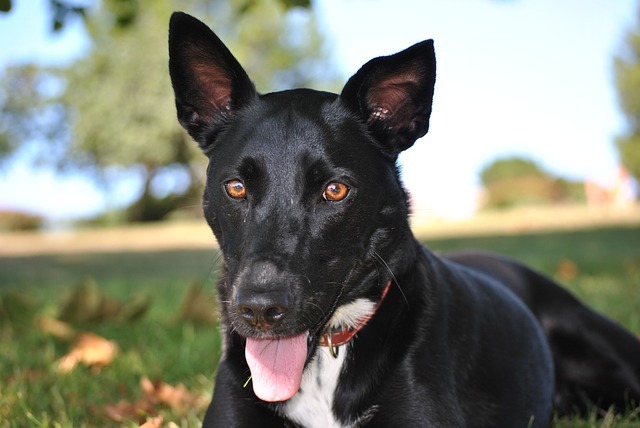 There’s a lot to know and understand, and getting your facts straight is key to having a happy dog. One of the health-related topics pet owners often get confused about is the need for prebiotics. No, that wasn’t a typo. You’ve heard of probiotics, but prebiotics are different. Both prebiotics and probiotics are essential for canine gut health, but the majority of dogs in the U.S. are missing out on the former half of that equation. The first step in helping your dog toward a healthier digestive system is understanding the differences between the two and how they work together within the body. You’ve probably at least heard of probiotics before–whether you’ve seen the word advertised on yogurt containers or you already provide your pet with a daily probiotic supplement. Probiotics are live bacteria that live in the gut. They’re the good kind of bacteria that play important roles in a number of different digestive processes. They help in the breakdown of food, and Dog’s Naturally Magazine also reports they boost the body’s immune system and enhance cellular repair. Probiotics are constantly battling their arch enemies–the bad bacteria. A healthy gut depends on there being the perfect balance between good and bad. While probiotics are living bacteria, prebiotics are not living. They’re non-digestible fibers that travel all the way through the digestive system. They remain undigested and unchanged until they reach the colon. Once there, they go through a process of fermentation. This fermentation in turn feeds the good bacteria in the gut (the probiotics). An easy way to think about the relationship between probiotics and prebiotics is to compare them to a farmer’s field. The probiotics are the living crops that the farmer depends on to keep his family healthy. The prebiotics are the fertilizer the farmer uses to ensure his crops continue to grow. Prebiotics are what probotics need to do their job. While closely related, probiotics and prebiotics have separate roles to play within the body. They work alongside the body’s supply of digestive enzymes to ensure from the time food enters your dog’s mouth all the way until it reaches the colon, it’s properly digested and the nutrients are effectively absorbed. Probiotics and prebiotics are two different things, but good gut health depends on having both. If you already know your dog benefits from more probiotics in their diet, it’s time to learn more about why they also need prebiotics. Here are a few of the top reasons veterinarians often recommend using prebiotics along with probiotics to help four-legged patients. 1. Prebiotics are an essential part of gut health. While probiotics are important soldiers in the fight against bad bacteria in the gut, they’re not considered strong. They’re actually extremely fragile, and because they’re alive, they need specific conditions to stay viable. If you’re already giving your dog a probiotic supplement, their gut is filled with trillions of good bacteria. It’s a good thing, but it also means those bacterial colonies are struggling to survive in the harsh environment of the digestive tract. Like all living things, bacteria needs to “eat” to survive. It isn’t the same as biting into a burger to keep your strength up, but probiotics need sustenance to stay active. Prebiotics are the perfect type of “food” to feed “hungry” probiotics. If the trillions of probiotics don’t have enough food to go around, they won’t be able to do their jobs. Without prebiotics, probiotics are only minimally beneficial. You want to maximize the effectiveness of good bacteria in your dog’s gut, and that’s why they also need prebiotics. 2. Most dogs aren’t getting all the prebiotics they need. Dogs depend on probiotics, prebiotics, and digestive enzymes to keep their insides feeling good and working properly. The issue is, after centuries of domestication, today’s dogs rarely get all the nutrients they need from the food they eat. 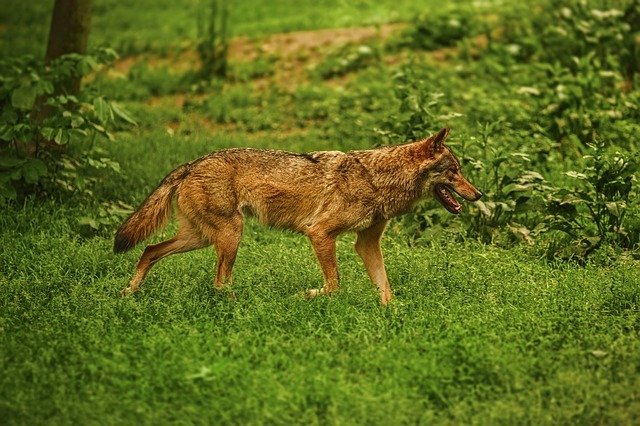 According to a video from Dr. Karen Becker, wolves, coyotes, and even cats have a digestive advantage over most dogs because of the food they eat. They hunt down live prey to eat all parts of the animal, including the entrails. Entrails are the best source of digestive enzymes out there, but very few house dogs are getting fresh entrails in their dish on a regular basis. They’re also not getting all the prebiotics they need. Foods that are rich in prebiotics include raw garlic (which is harmful to dogs in large quantities), sauerkraut, kefir, dandelion greens, asparagus, and banana. Good luck getting your dog to munch on enough dandelion greens to meet their prebiotic needs. Because most of the foods rich in prebiotics are foods dogs don’t like, a specially formulated supplement is the best way to give them what they need. You’ll know your dog will benefit from incorporating probiotics and prebiotics into their diet when they show symptoms of digestive upset. Frequent diarrhea, vomiting, stomach cramps, and/or loose or foul-smelling feces are all signs your dog’s gut is losing the battle between good and bad bacteria. Not only do they need more good bacteria to bring things back into balance, they also need prebiotics to give them an essential boost in proper digestion. Veterinarians often recommend a combination of probiotics and prebiotics for dogs showing occasional digestive upset, as well as patients with long-term GI issues. They can safely be used on a long-term basis to stimulate better digestion and address underlying problems in gut health. Providing a supplement that contains both probiotics and prebiotics is the easiest way to ensure that your pup is getting the help he or she needs to encourage an optimally functioning GI tract. 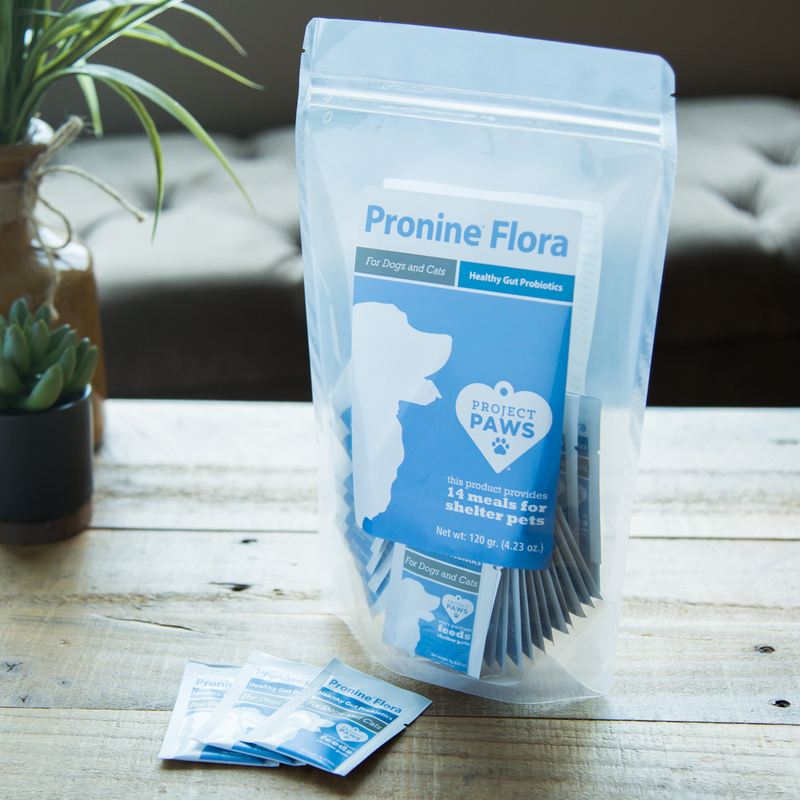 Pronine™ Flora, our 4-in-1 probiotic supplement, not only contains pet-specific probiotics and prebiotics, but also boasts digestive enzymes and digestive herbs, all in a tasty, easy to administer powder form. Pronine™ Flora comes in individual, single-use packets to ensure freshness.